Sadly we say goodbye to Joseph Sidney Loving, 88, an amazing husband, father, grandpa and great-grandpa. Sid was born in Gainesville, Texas, on July 23, 1930, the only child of Roy Earl and Ruth McKee Loving. He was raised in Tulsa, Oklahoma, finishing his education at the University of Tulsa and University of Oklahoma. Sid served as an Airborne Ranger in the Korean conflict and as a Ranger instructor in Fort Benning, Georgia. He met and married the love of his life, Carolyn Sue Williams, in 1960. They moved to Malibu, California, in 1964, where they raised their family and lived until 2005. He retired in St. George, Utah, where eventually most of the family followed. His greatest joy came from the unmeasurable love and pride he had for his family. He was happiest with a baby on his lap and his beautiful wife at his side. Sid was a gifted storyteller. His tales always colorful, creative and entertaining. He was quick to forgive and never failed to fill you with hope and confidence. Dad’s life message was crystal clear: “Always come from love and you can’t go wrong.” He somehow successfully made each and every one of us feel not only special and loved but like we were his favorite. He will be missed beyond what mere words can convey. 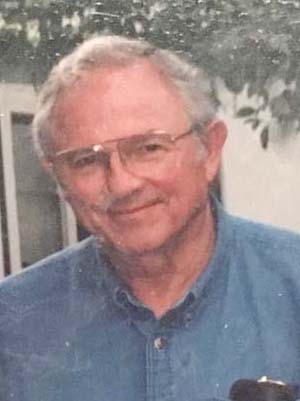 Dad died Jan. 12, 2019, in St. George, Utah, surrounded by the love of his family and his devoted wife. He is survived by his wife, Carolyn; children Robert, Mimi and Lisa; one grandson; four granddaughters; and five great-granddaughters. He was preceded in death by his parents and son, Rusty. A private memorial will be held for family.